EPISODE 36 – WE HAVE AN INTERN! Episode 36 is all about New Year’s Resolutions and Accountability. We decide to start by reading an email from a listener who teaches us about domestic violence and how we can see the warning signs and not victim blame. THANK YOU FOR TEACHING US A NEW LESSON! Our listener is referencing an email we received and did our best to navigate but it’s always so helpful to hear listeners offer a different perspective. We will now be including the National Domestic Violence Hotline information in all of our show notes along with the links to the Suicide Prevention hotline and National Eating Disorder Association which we have already been including. We also read an email from a listener who wants to help Dana with her Monkey Brain. 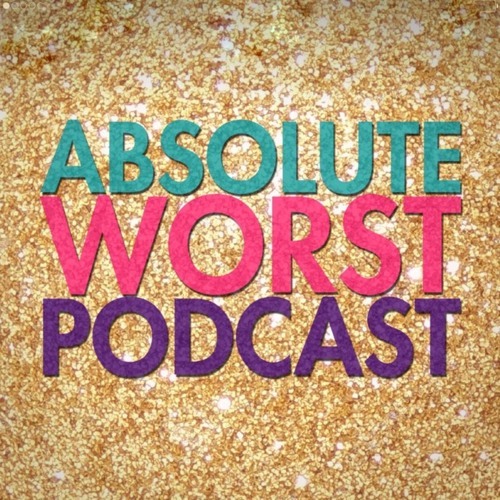 During the Absolute Worst Therapy section, we decide to settle something once and for all: “Why does Dana call Dan Tipton by his first and last name? !” We also try to help a woman ditch her stalker mother-in-law and we get honest about what having a baby does to a marriage. We end this episode with an incredible creepy clown Absolute Yourst that’s going to make it pretty hard to top in 2018…BUT WE KNOW YOU SICKOS CAN DO IT! Alison and Dana ALWAYS want to hear your problems, advice, feedback and Absolute Yoursts! You can contact them through their website, friend them on Facebook, or follow them on Instagram and Twitter. **NOTE** If you’re thinking about suicide, are worried about a friend or loved one, or would like emotional support, the Lifeline network is available 24/7 across the United States. The Lifeline is available for everyone, is free, and confidential. See website for additional crisis services and hotlines. Online chat services provided as well at suicidepreventionlifeline.org/talk-to-someone-now/ National Suicide Prevention Lifeline 1-800-273-8255 If you or someone you know is struggling with an eating disorder, The National Eating Disorder Association is a great resource: https://www.nationaleatingdisorders.org/types-symptoms-eating-disorders. In order to learn about the different types of abuse that occur in unhealthy relationships and receive help while remaining anonymous, you can reach the National Domestic Violence Hotline here: (800) 799−7233 and http://www.thehotline.org/resources/victims-and-survivors/ "
Users who like Episode 36: We Have an Intern! Users who reposted Episode 36: We Have an Intern! Playlists containing Episode 36: We Have an Intern! More tracks like Episode 36: We Have an Intern!